Unfortunately, people who have IBS often find themselves being treated poorly when they go to the emergency room for extreme symptoms. 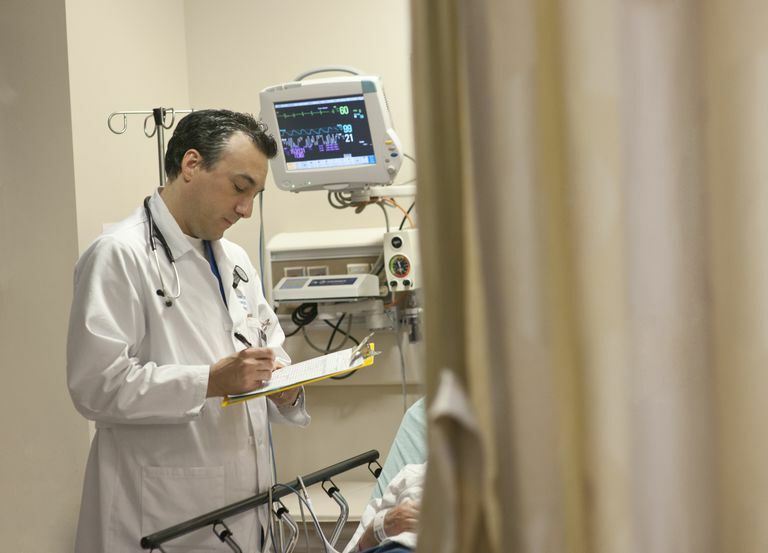 The overall problems in the doctor/patient relationship when it comes to IBS, due to the lack of physical findings on diagnostic tests, seem to be highlighted under the high-stress conditions of the average emergency room. Anecdotal reports from people who have IBS regarding their emergency room experiences are frequently filled with frustration that their fears and concerns about their health are minimized by emergency room personnel since IBS is not viewed as a "serious" health problem. Some people who have IBS report that they get treated like "druggies" because they are seeking medical intervention for severe IBS pain. At its worst, IBS patients are mocked or made fun of by EMTs and emergency room personnel because IBS is a "bathroom problem" issue. However, people who have IBS deserve the same care and respect as any other individual who goes to an emergency room. Here are some pointers to help to ensure that your visit is a positive one. First, you need to decide if your symptoms are severe enough to warrant the trip to the hospital, whether or not you need an ambulance, or if it is okay to have someone else drive you. The following article offers some pointers, but when in doubt, go! If there is time, call your doctor and ask them to call ahead for you. A call from your doctor will help to legitimize your trip in the eyes of emergency room personnel and will help them to be prepared to best assess your symptoms and meet your care needs. Whenever possible, try to have someone along with you. A companion can do wonders in terms of soothing your anxiety and helping you pass the time as you wait to be treated. A companion is also a second set of ears. When you are sick, in pain, and anxious, your ability to take in information is limited. A companion can also serve as an advocate to make sure that your needs are being adequately met and to report any inappropriate treatment on the part of the staff. Be matter-of-fact about your symptoms: Do not be embarrassed about your IBS. Just because your symptoms are related to the digestive tract does not mean that they are less relevant. Medical professionals deal with all the messy parts of the body! Speak calmly and assertively about your symptoms, your concerns, and your needs. Be patient: Remember that emergency rooms are busy places. The sickest patients will be treated first, which is something that you would want if you were the one whose life was on the line. Remember that if you are being kept waiting it means that your symptoms are not as seen as life-threatening, a thought that may help to ease your mind and soothe your anxiety. Don't be afraid to speak up: Use your voice! Be sure to describe your symptoms in a clear manner. If you are in severe pain, tell them! Some of us have a tendency to downplay symptoms because we don't want to be a "problem." This tendency is not helpful in this situation, as the doctors in the emergency room need to come to some sort of an accurate diagnosis quickly. They need your input in order to be able to do this most effectively. Speaking up is also essential if your symptoms start to worsen. If you feel that your concerns are not being heard or that you are being treated poorly, have your companion ask to speak with the emergency room supervisor. Be nice to staff: For the most part, emergency room personnel are caring, but often over-worked professionals. Treat them with kindness and they will be more likely to be kind to you. Thank each person for the care they give you and if someone went above and beyond, let them know. What Are Your Disability Options If Your IBS Is Really Bad?